A lot of ‘ukulele players grow their fingernails out and pick with them. Fingernails have a bright, articulate sound that’s great for melody playing. If you dabble in fingerpicking they can be a huge upgrade to your sound, depending on the genre you play. But playing a stringed instrument can be quite hard on the fingernails. The friction of picking a string maybe even thousands of times a day can wear down poorly maintained nails. Because of this a lot of people have a hard time keeping their nails in good shape. Genetics certainly play into how strong your nails are, but there are some simple things you can do to help them out along the way. Rule #1 of fingernail care is: use an emery board! Fine grit alternatives also work. Metal and sapphire/diamond files are marketed as high-quality, but eat the edges of your nails for lunch! Avoid them at all costs. 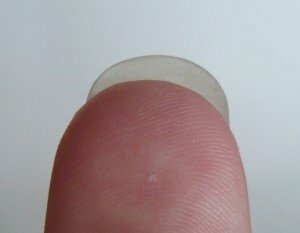 They create chips and a nail that will eventually peel off. I highly recommend a glass nail file. They last forever (maybe not, but I’ve had mine for over a decade) and create a very smooth surface. Filing with a glass file and then buffing on a dense fabric (I rub my nails on my pants) makes for a very fine finish. 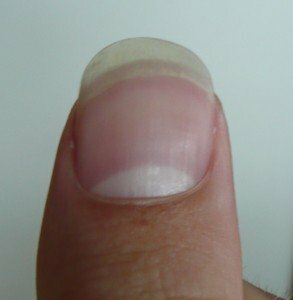 The longer you grow your nail, the more likely you will rip it off. Keep your nails long enough to do their job, but don’t just let them go crazy. 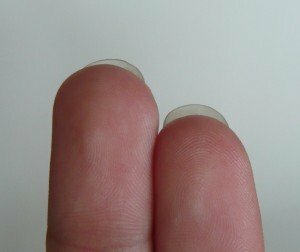 I usually aim for keeping my nails long enough that they poke over the tip of my finger by about 1mm. 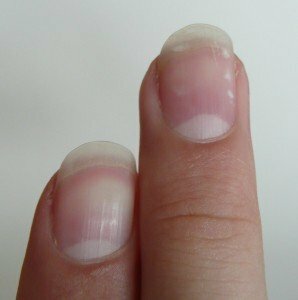 The shape you file your nails into greatly affects how the string slides off. By making sure the angles are smooth and smart you can get a better tone with less effort. My index and middle finger get a curve that rises left to right. This ensures the scoop is smooth and the release is quick. Drink more water. If your cells are all dried up they can’t do as good a job of making new fingernails. I don’t use it, but a lot of people swear that gelatin makes their fingernails stronger.